SOPHIE – OOAK repaint Madra doll with an articulated Jason Wu Gene Body. The proceed for this doll will be donate to “Children Of Hope” organization to help “Pan De Vida” orphanage in Mexico. The original doll was graciously donated by a dear customer of mine for this purpose. (Thanks again Maureen :o). Cinematic 2015 Integrity Toys Convention Collection. She is approximately 12″ tall. Her gorgeous red hair was washed, conditioned and given nice soft curls. 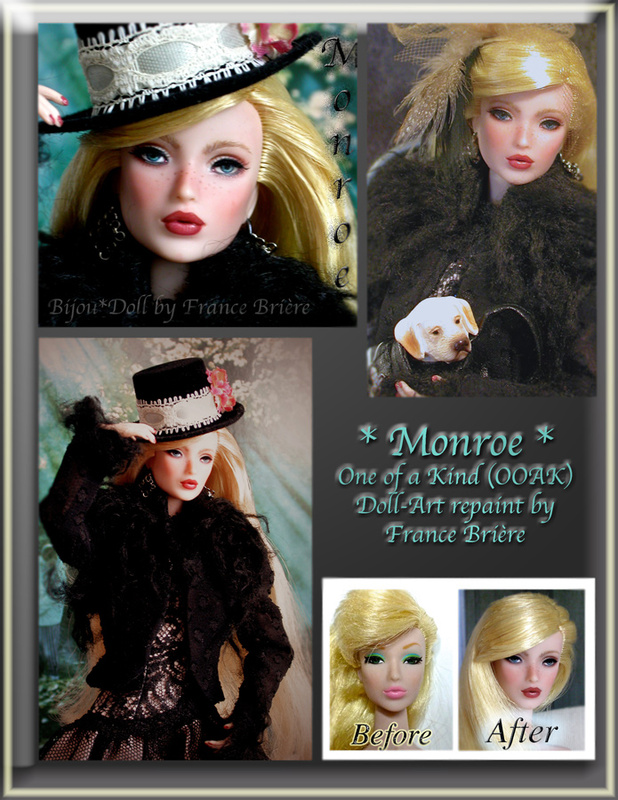 MONROE – OOAK repaint Dynamite doll by France Brière. Formerly a Dynamite Girls ELECTROPOP JASPER, this doll stand at about 12 inches tall. She has a fully articulated body with 12 points of articulation: at the neck, shoulders, elbows, wrists, under the bust, at the hips and knees. 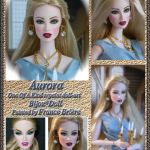 AURORA – OOAK repaint Fashion Royalty doll by France Brière. 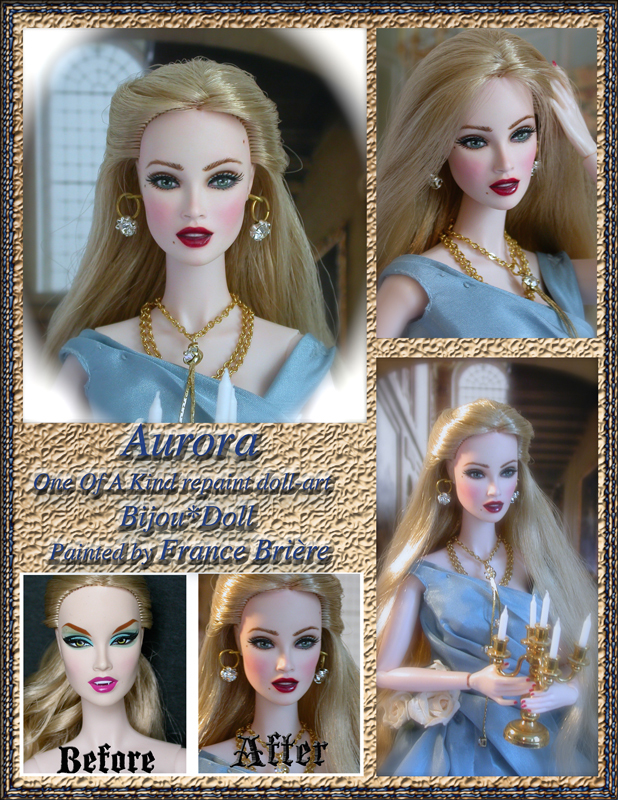 This week I have a Fashion Royalty “La Contessa, Bride of Dracula” doll repainted and transformed into this dark green eyes beauty. This doll has a very pale body that contrast perfectly with her very long blond hair. She has painted and real eyelashes.